Shingles and herpes. 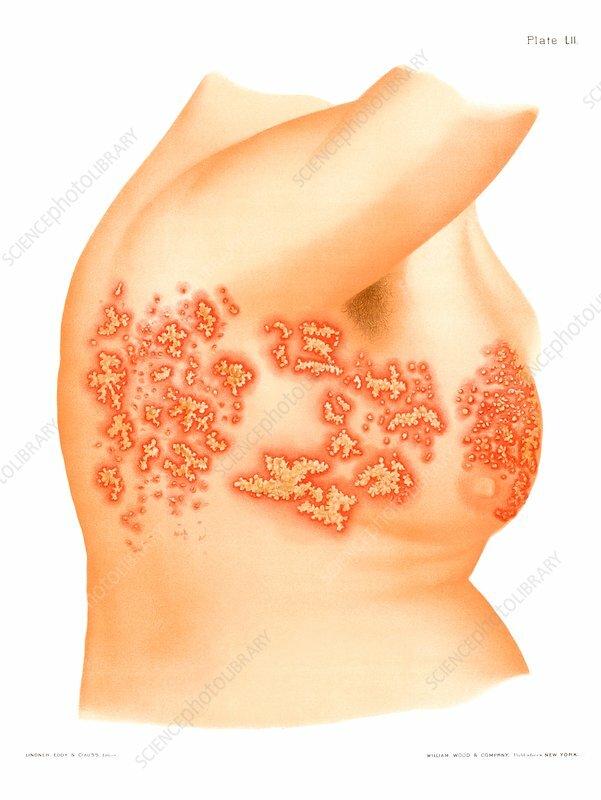 Historical medical illustration showing herpes zoster (shingles) lesions on the body of a female patient. Shingles is caused by the varicella-zoster virus, which also causes chickenpox. The virus infects sensory nerves and causes the outbreak of blisters on the skin supplied by the infected nerves. The blisters last around two weeks, after which the area is intensely painful due to nerve damage. The virus can lie dormant in nerves for years, and nearly always recurs. From Atlas of Venereal and Skin Diseases by Prince Albert Morrow, published in 1889.